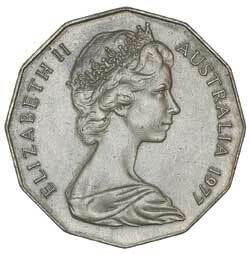 ELIZABETH II, fifty cents, 1977, struck with two obverse dies at 180 degrees die axis. Toned, uncirculated and very rare. 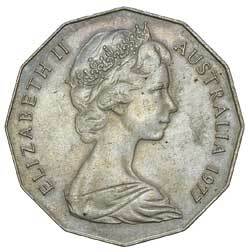 Ex Noble Numismatics Sale 92 (lot 158).